The advance of technology has brought a new dimension to our lives. Now it is increasing our knowledge of penguins’ lives as well. Penguins live mysterious lives. Once they leave land and jump back into the water, they start fast journeys to unknown locations. Their lifestyle adapted to water makes it impossible for humans or most machines to follow them in their underwater journeys. The development of technology and satellite tracking has opened up new horizons in the understanding of this secret life that penguins lead. To uncover their trajectories, the most popular tracking devices used are GPS (Global Positioning System) data loggers. 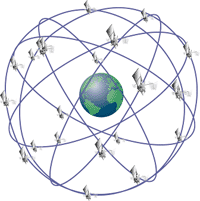 A GPS is a satellite-based navigation system that operates with several satellites. GPS satellites circle the Earth in a precise orbit and each satellite transmits a unique signal that allows devices to know the precise location of the satellite1. By combining all signals, such devices can inform us of the exact location of any organism that is carrying a GPS. In fact, we can find many penguin projects on the internet that transmit the journey of penguins in real time! Satellites can also aid scientists by providing information from hard-to-reach colonies in remote areas. For example, a recent study has found that “penguin poo” can be accurately spotted using satellite images2. The identity of adult or juvenile Adélie penguins and Chinstrap penguins could be discerned based on the guano coloration observed. Another common device deployed in penguins is accelerometers. These devices measure the change in speed divided by time. Accelerometers are often accompanied by sensors measuring temperature and pressure. This allows scientists to measure how fast and how deep a penguin swims, while simultaneously recording temperature conditions. A penguin’s encounters with prey can also be inferred from the accelerometer’s data output, due to the particular speed at which penguins swim when following prey in the water3. Drones have been demonstrated to be allies of scientists, too. In a recent study4, scientists tested if drones were better than humans at counting birds in colonies. They found that in effect, drones performed better than humans and had better counting estimates. The development of artificial intelligence (AI) is another recent tool to study penguins. AI is sometimes referred as “intelligence demonstrated by machines” which can correctly interpret external data, learn from it and complete tasks in a flexible automated manner5. In the case of penguin research, scientists are using cameras to replace human observers and to monitor penguin colonies6. Using automated all-time recorded images from those cameras, online users are able to observe birds and score their behaviors. The machines standardize this process and then make it measurable for the scientists to interpret. The flexibility of AI allows the program to work out which information is meaningful and to correct for possible misinterpretations. This is only possible because more than one person works on images simultaneously, and computers source the correct information based on whether people agree or disagree in each annotation. If proved useful, this method will aid bird monitoring in places where human presence might disturb wildlife and disrupt their behavior. The development of molecular genetic tools is improving our knowledge of penguin behavior as well. 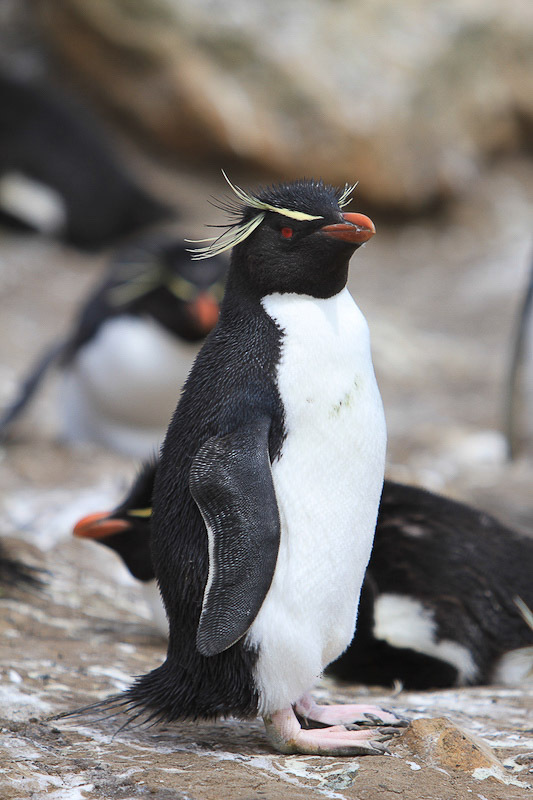 The use of molecular tools has helped undercover the identity of fish found in the diet of penguins. In the past, this was done by looking at fish otoliths (ear bones) found in diet samples and by trying to identify the species by analyzing individual otoliths one by one! Nowadays, molecular analyses can do this automatically and reveal additional unknown components of a penguin’s diet. 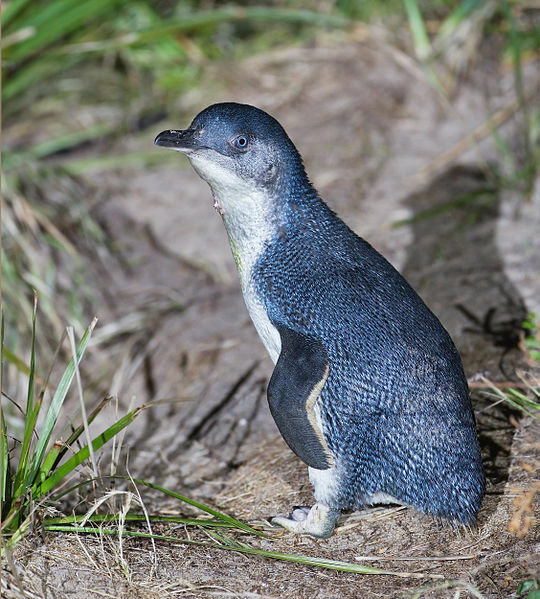 For example, it was recently discovered that Little penguins eat more salps than previously thought7. These gelatinous plankton might quickly decompose inside the penguin’s guts, and that is possibly the reason why its identity was overlooked until now. It is only with the aid of molecular tools that scientists are beginning to untangle the mysteries of penguin dietary habits. The advancement in technology is opening new doors that could be crucial in the conservation of wild animals, especially penguins. Several initiatives of citizen science are also opening opportunities for us, the general public, to be able to participate and collaborate analyzing animal data. Now everyone has the chance to do science and monitor penguins from the comfort of their homes. AI is moving us ahead every day. Now it can help us watch penguins from the comfort of our own home. How great?! What are your thoughts? Please help us continue to learn more about penguins, their habits and more by donating to Penguins International. We more than appreciate your support! 2. Waluda, C. M., Dunn, M. J., Curtis, M. L., & Fretwell, P. T. (2014). 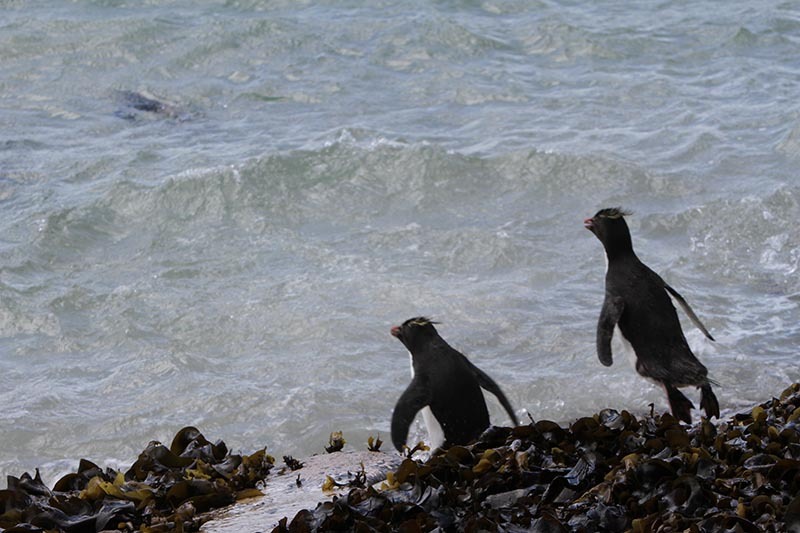 Assessing penguin colony size and distribution using digital mapping and satellite remote sensing. Polar biology, 37(12), 1849-1855. 3. Sánchez, S., Reina, R. D., Kato, A., Ropert-Coudert, Y., Cavallo, C., Hays, G. C., & Chiaradia, A. (2018). Within-colony spatial segregation leads to foraging behaviour variation in a seabird. Marine Ecology Progress Series, 606, 215-230. 7. Cavallo, C. R., Chiaradia, A., Deagle, B. E., McInnes, J., Sanchez Gomez, S., Hays, G. C., & Reina, R. D. (2018). Molecular analysis of predator scats reveals role of salps in temperate inshore food webs. Frontiers in Marine Science, 5, 381.